It's admirable for an animation produced outside Hollywood to look this snazzy but these animal movies are starting to blend into each other. Isn't this like Madagascar? But which Madagascar? Does it matter? Like a child pleads, 'Again! Again!' despite the repetitiveness of the parent's simple joke, rolling out the same movie hasn't affected their box office draw – but more of that later. 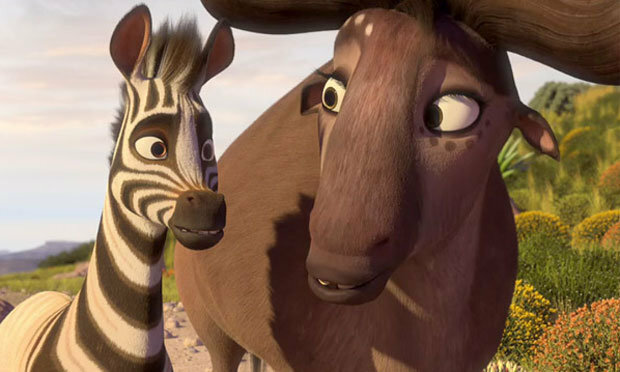 One of the first features to make it out of South Africa's Triggerfish Studio, Khumba's steady, tried-and-tested foray is decent outing. The road movie aspect is lively and Neeson, who at first seems to be doing a Willem Dafoe/Birds Eye polar bear impression before allowing the Ballymena accent to slip back in, is in form as the creepy leopard. Tackling the issue of skin colour, and how our perception can be based on that, is a welcome take - Khumba has to realise that it doesn't matter what he looks like, it's just important to be him. But here's a thought. All these movies (well, most) hail the importance of individualism over conformity - best not go with the herd but to strike out on your own, to be yourself. This is terrific. A wonderful message to teach children. But this isn't it conducive to maximum returns at the box office, which is what the movie industry is all about, and to do that is to appeal to a broadest spectrum possible i.e. the herd. So wouldn't it be more financially viable to write movies about the importance of conformity, of sticking with the herd? Just a thought.